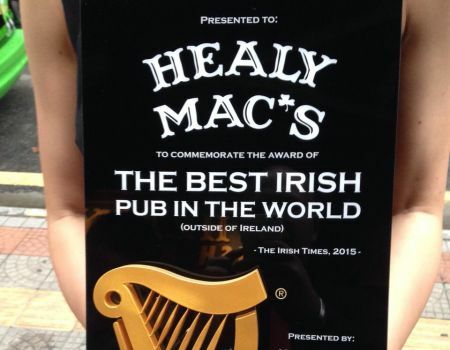 Healy Mac’s Irish Bar and Restaurant scooped a major international award in the summer of 2015 when one of the outlets in the famed Irish chain was named Best Irish Pub in the World (outside Ireland) by The Irish Times and Diageo. In early 2015, The Irish Times newspaper began a search for the top Irish bars in the world, outside Ireland. The competition was part of the Irish Times Generation Emigration project and Irish people all over the world were asked to write a love letter to their favourite Irish pub overseas. In excess of 6,000 bars were included in the search for the Best Irish Bar outside Ireland and more than 1,500 people in 41 countries nominated their favourite Irish bar. Entries came from traditional Irish emigrant destinations such as the US and UK; mainland Europe including Germany, Austria, Italy and Spain; and Australia, New Zealand, Canada and the Gulf states, which have received high numbers of Irish immigrants in recent years. Entrants were asked to evaluate their local Irish pub’s role as a social hub for emigrants, what it does for the Irish community overseas, its commitment to Irish food, culture and sport, and its ‘craic factor’. 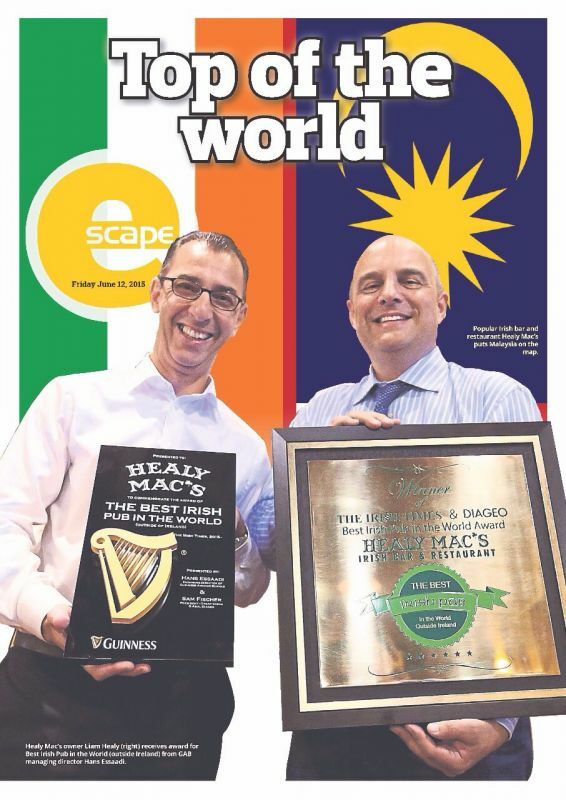 Healy Mac’s Irish Bar and Restaurant on Jalan P Ramlee in Kuala Lumpur, Malaysia, was initially named among the Top 10 Irish Bars in the World, before going on to scoop the top prize. 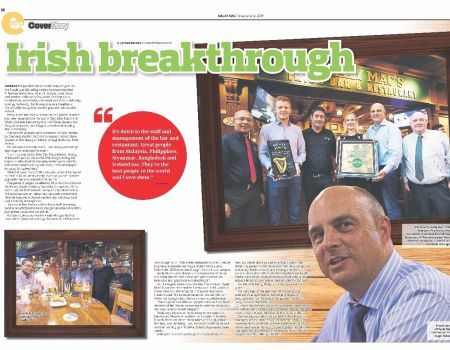 The award coincided with the opening of the first Healy Macs Irish Bar and Restaurant in Ireland – here at Breaffy House Resort in Castlebar, Co Mayo. 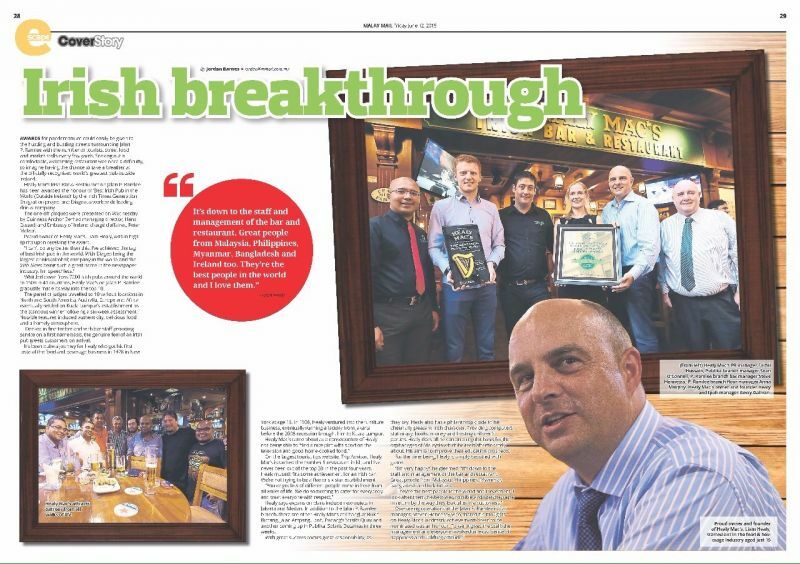 In recent years, the Healy Mac's chain has scooped several major awards and in September 2016, the chain won a coveted Malaysia Top Business Excellence Award. The Malaysia Top Business Excellence Award (MTBEA) is the highest recognition bestowed to promising home-grown enterprises and multi-national corporations for their exceptional products and services in their respective fields. Besides celebrating the triumphs of distinguished companies, the award serves as a beacon of guidance for businesses to translate prospects to consumers and elevate the benchmark for best products and services around Malaysia. 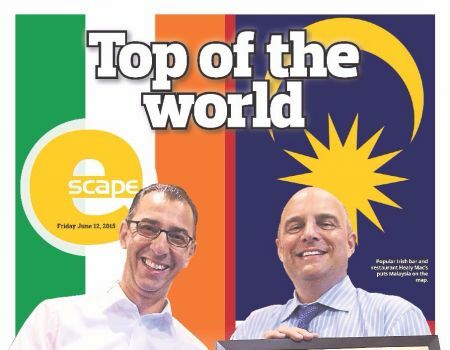 This latest MTBEA accolade is much sought-after in Malaysia, as the award recognises champions of business across Malaysia. “To receive the honour as one of the top-notch businesses in Malaysia, the awardees must be accorded as industry leaders by their associates and essentially inspire aspiring entrepreneurs to dauntlessly realise their dreams,” read the citation. Mr Healy was honoured and humbled to be named among the awardees at this year’s ceremony. “I’m incredibly proud to see Healy Mac’s named among the MTBEA winners this year. 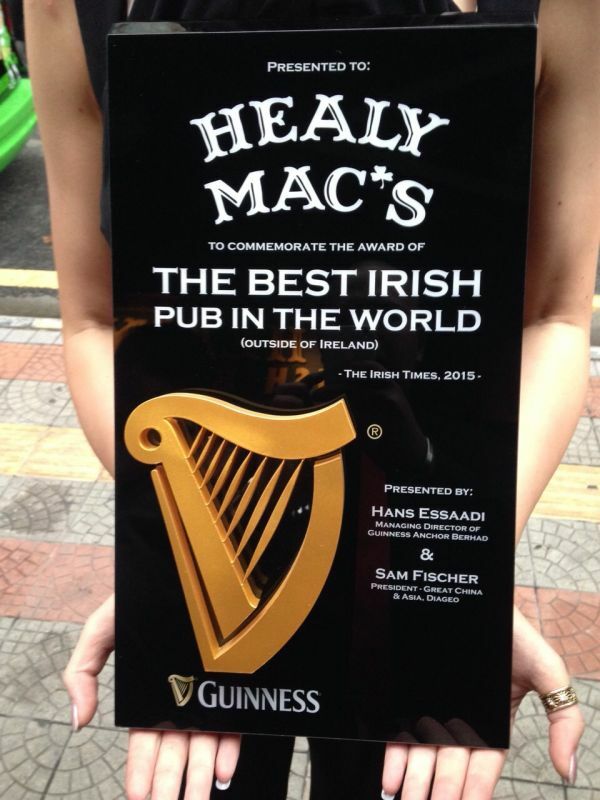 Each of our Healy Mac’s outlets is staffed by a great team, with at least one Irish team member in every bar,” he said. “We strive to always provide the personal touch at Healy Mac’s. Before opening the first Healy Mac’s in 2008, in all my travels, I never found a good bar where I could just have a pint and feel at home. We offer great food, drink and service at all our Healy Mac’s outlets, topped off with a friendly ambience and a welcoming team of staff. This award isn’t just for me, it’s for the entire Healy Mac’s family,” Liam added.